For the people who love Halloween and who are fascinated by one of the most valued artifacts of our time we have gathered and listed an extensive set of mummy riddles. The first time in the recorded history of humanity that we see mummies becoming a part of mythology and folklore attributed to Ancient Egypt. Artifacts show Ancient Egyptians believed that those who disturbed the bodies laid next to and within the tomb compartments of Pharoahs, were automatically cursed. This mysterious "curse" has had a profound effect on modern times. Causing many to ponder and even create folklore surrounding the intrigue around these sacred subjects. 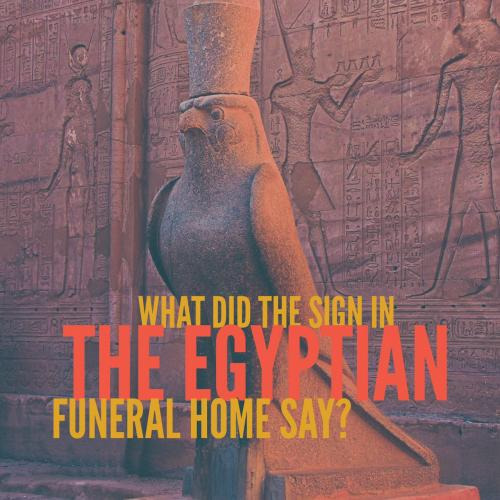 Listed below are riddles that have to do with the intrigue that surrounds mummies. While some are tough to solve, others are relatively easy to answer and would be perfect for Halloween themed parties and other social activities for all ages. 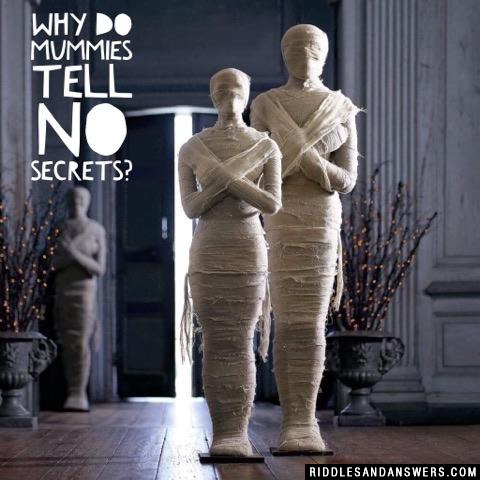 Why do mummies tell no secrets? Because they keep things under wraps. 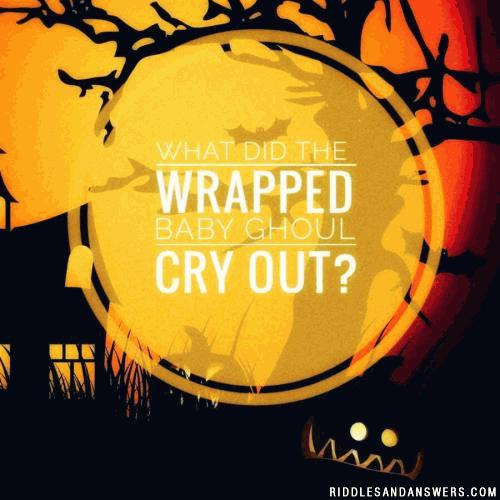 What did the wrapped baby ghoul cry out? Why dont mummies go on summer vacation? Why was the Egyptian kid confused? Because his daddy was a mummy! Why don't the ancient Egyptians take vacations? The mummies are afraid to relax and unwind! Wait, is his arm moving? Why can't King Tut dance? Can you come up with a cool, funny or clever Mummy Riddles of your own? Post it below (without the answer) to see if you can stump our users.